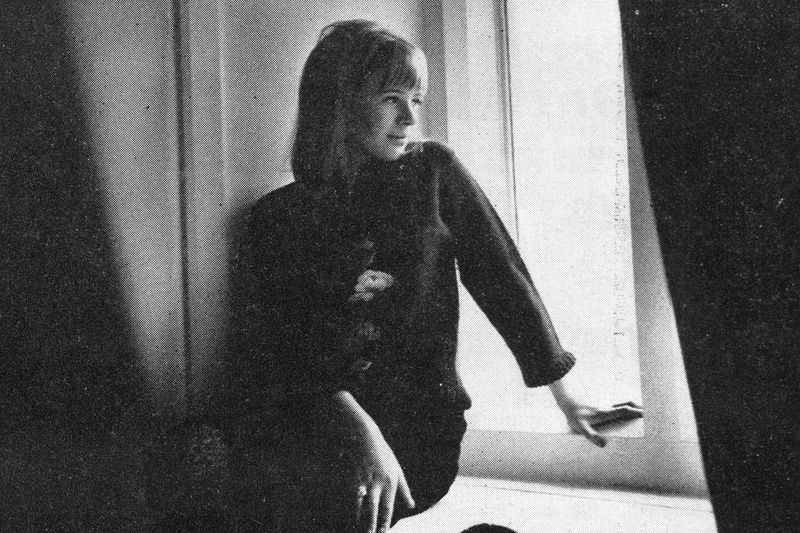 In this article from 1965 Records Magazine chronicles Marianne’s move to her flat in Knightsbridge. Of course this also includes unpacking designer dresses especially made for her and taking a break to read fanmail. Marianne Faithfull, whose first LP for Decca will be out soon – her new single ‘Come and Stay With Me’/’What Have I Done Wrong’ on Decca F 12075 was released in February – recently moved into her own flat in Knightsbridge. 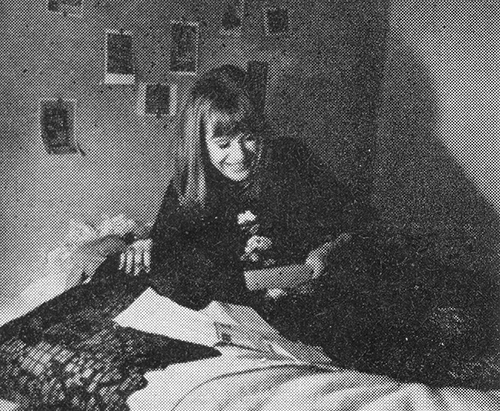 Records Magazine cameras found her enjoying the excitements of organising her new home and planning the decor. Unpacking-always a chore; but when you’ve a wardrobe specially designed by teen-designer Caroline Charles, it’s a pleasure too. 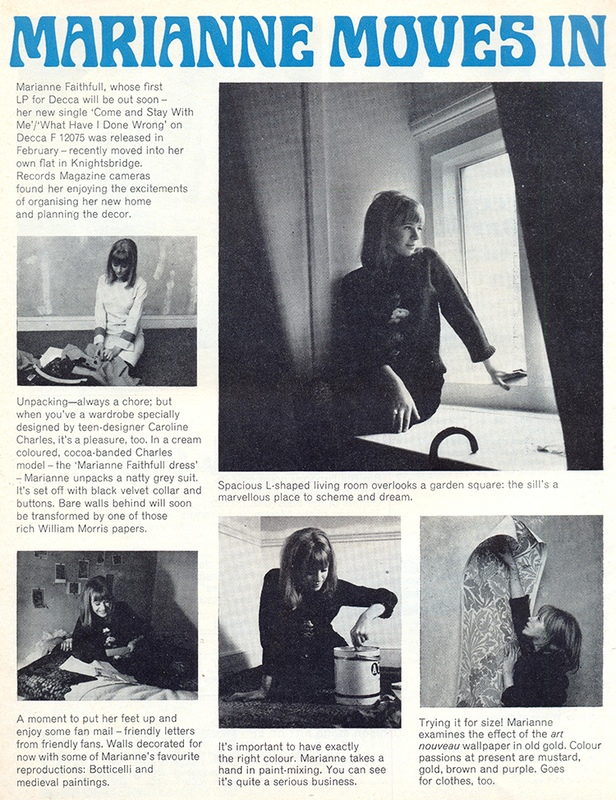 In a cream coloured, cocoa-banded Charles model – the ‘Marianne Faithfull dress’ – Marianne unpacks a natty grey suit. It’s set off with black velvet collar and buttons. Bare walls behind will soon be transformed by one of those rich William Morris papers. A moment to put her feet up and enjoy some fan mail – friendly letters from friendly fans. Walls decorated for now with some of Marianne’s favourite reproductions: Botticelli and medieval paintings. It’s important to have exactly the right colour. 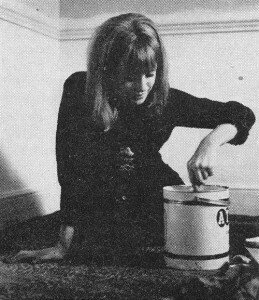 Marianne takes a hand in paint-mixing. You can see it’s quite a serious business. Trying it for size! 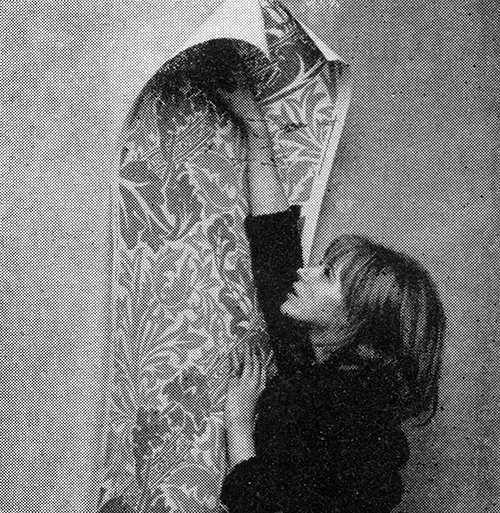 Marianne examines the effect of art noveau wallpaper in old gold. Colour passions at present are mustard, gold, brown and purple. Goes for clothes too. Spacious L-Shaped living room overlooks a garden square: the sill’s a marvellous place to scheme and dream. “Records Magazine” was a monthly promotional magazine published by Decca and retailed at record stores to promote their artists and releases. 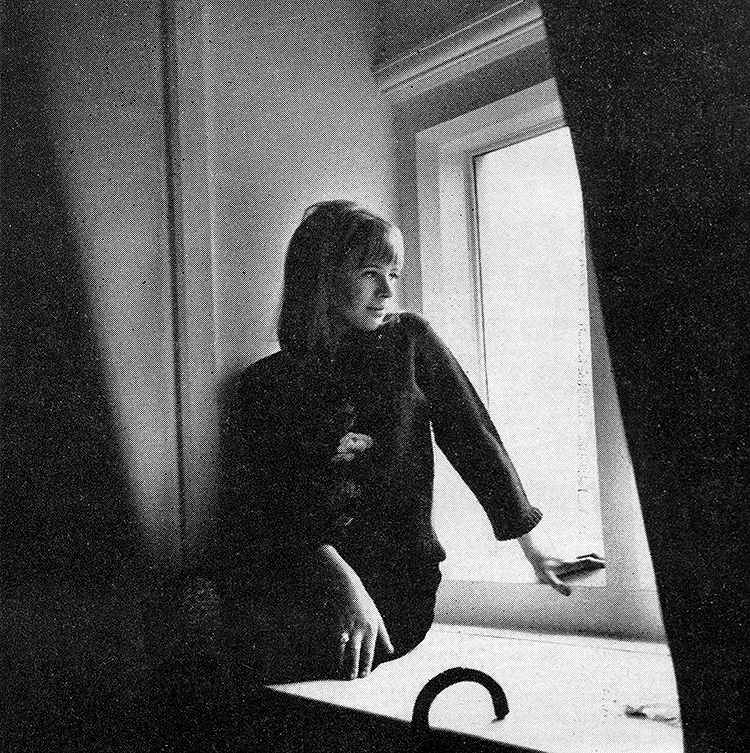 It featured more and more pop artists in the later years but still retained sections about jazz and classical releases.